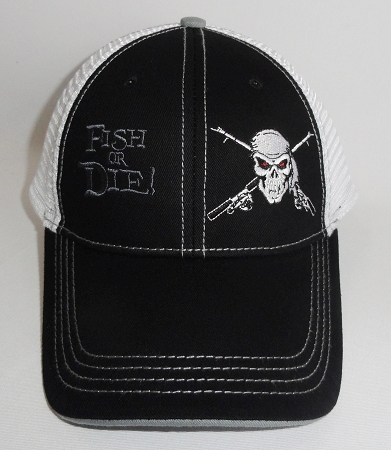 Embroidered 3-D tone-on-tone "FISH OR DIE!" with our SKULL and CROSSED POLES graphic in white on black front, paired with our NEW COTTON-POLY MESH for the rear! 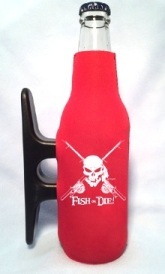 Contrast stitching, with Get Reel…Get Fish! 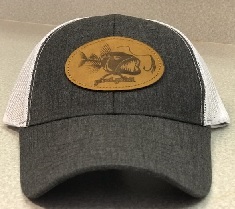 embroidery on rear velcro closure. One of the most comfortable caps you'll ever wear!